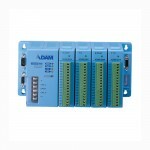 Machine Controllers There is 1 product. 4-slot Distributed DA&C System Based on RS-485. Please contact the More Control sales team to obtain a price for this product. Our email is sales@more-control.com or call 0345 00 00 400.